This client wanted a landscaping design that looked stylish and eye-catching and allowed space for entertaining family and friends. 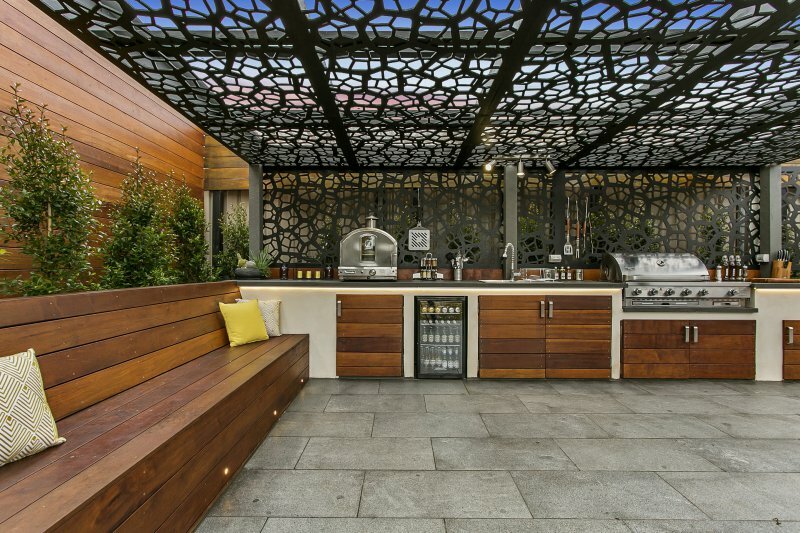 Functionality was extremely important and part of the brief was to include an outdoor food prep area. 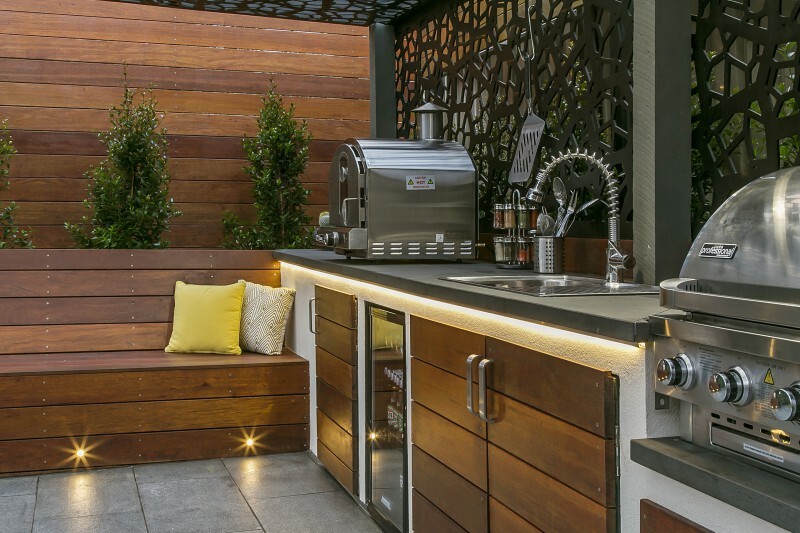 In the design, we included a custom made BBQ area consisting of a blue stone bench top, merbau doors and rendered walls. as well as landscaping flair. Granite pavers complete this sophisticated design.